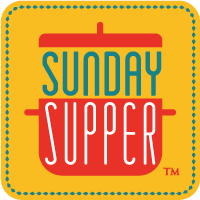 This week's #SundaySupper event is being hosted by Ethel of eating in instead and Lori of Foxes Love Lemons. Our theme, in conjunction with Valentines' weekend and hearts galore: heart-healthy. Here are the current American Heart Association Diet and Lifestyle Recommendations. I was inspired to create this recipe based on the recommendation to eat fish at least twice a week. Studies shows that eating oily fish containing omega-3 fatty acids (for example, salmon, trout and herring) may help lower your risk of death from coronary artery disease; those omega-3 rich fishes include salmon, trout, and herring. I used a pickled cherry salsa I had created for a different event. But you can use whatever salsa you have on hand...or just eat the salmon as is. It's delicious. Preheat oven to 275 degrees. Lay your fish in an oven-proof baking dish. Fill pan with enough olive oil to mostly cover the filets. 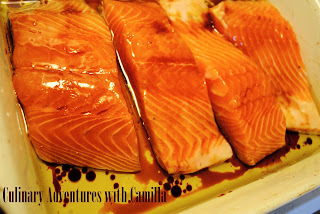 Drizzle the fish with balsamic. Cover with foil. Place in the oven for 25 minutes. Check for doneness. If the fish needs more time, return the dish to the oven. The fish is cooked when it is firm to the touch. To serve, lay your salmon on a plate and top with picked cherry salsa. Looks delicious! I love that salsa! It was! Thanks for hosting this week, Ethel. Pickled cherry salsa - I'm clicking over to get that recipe. Oh my. Yes...it is 'oh, my' worthy. Thanks for reading, Renee. Looks delicious Cam and Holy Cow a lot of participants this week sans moi....but next week I hope to join. 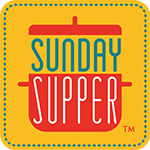 Yes, hope to see you at the #SundaySupper table soon! I'm with Renee! That cherry salsa sounds wonderful! YUM! The pickled salsa looks amazing! I love salmon! And not just heart healthy, but that balsamic is good for me as well since I am diabetic. It makes foods lower GI. Great post! I didn't know that about balsamic. Thanks for sharing! 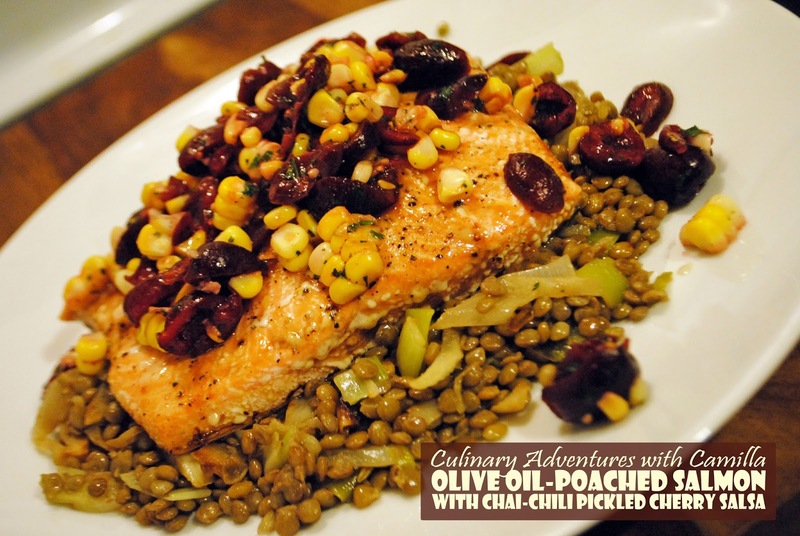 I have never tried poaching in olive oil, your salmon looks amazing!! 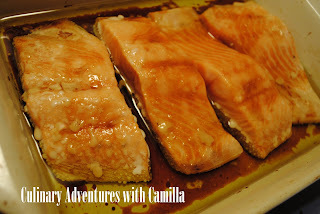 Your salmon looks fabulous---as does your beautiful pickled topping! Thanks, Liz. We loved it. Have already made it twice since this. Cherry pickled salsa! Wow! Great dish! Wow this sounds delicious. That pickled cherry salsa...oh my god I need to try this! I never poached fish in oil. That's different. Pickled Cherry salsa sounds very intriguing! I learned this technique during a recipe contest. We've loved it ever since. 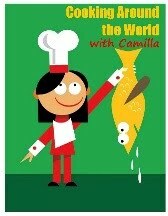 I love olive oil poaching fish. It makes it so tender and melt in your mouth. I bet the pickled cherry salsa makes a perfect complement! I know! It's not oily at all which surprised me. But we LOVE making fish this way now. I saw this technique on an episode of Chopped! Looks great. As does that cherry salsa! Umm ... you had me at cherry salsa! It sounds so good, Camilla ... I will be making some soon!